instrumental in the acquisition of what is now known as Swain Sports. By 1997, sales of the Swain Sports-mat had built Federal Sports Technologies into a multi-million dollar business. Since introducing Zebra Mats, we have become the first flooring company to market premium quality mat systems for all martial arts disciplines. Zebra was also first to market with specialty mat systems for cardio kick boxing and cardio karate programs, adding specially coated vinyl to allow use of shoes without damaging mat finish and performance. 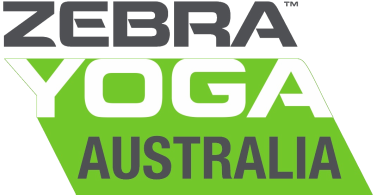 With a high demand in requests to expand our flooring into other industries, Zebra worked very hard with experts in the Yoga industry to develop a unique and high quality product designed specifically for Yoga. The result is the Zebra Safety Yoga product line including temporary and permanent non-slippery flooring that is firm, durable, and easy to maintain; yet, does not expand or contract with the high temperature changes of Bikram Yoga. Zebra has been the mat and flooring choice for many major competition tournaments and seminars nationwide - ATA National Tournaments, Arnold Martial Arts Festival, Disney Martial Arts, Gracie BJJ World Championships, Aiki Expo, US Open Judo, IBJJF Federation, Abu Dhabi Combat Club, World Professional Jiu-Jitsu Championships, and USA Judo Junior Olympics. The mats are manufactured in meters to qualify for international competitions and are available in a variety of thicknesses to cater to any application.